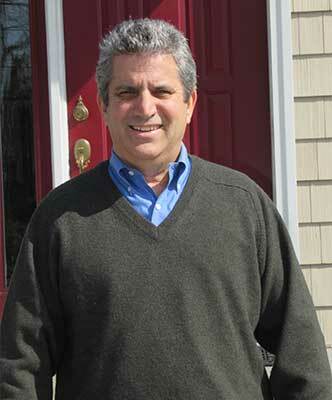 Owner and inspector, Louis Cozzi, has over 30 years of experience and has performed over 7,000 inspections. His home inspections range from new construction to homes built over 200 years ago, to estates and condominiums. He's seen it all! Prior to his career as a home inspector, Louis spent time renovating old residential buildings in New York City. He has had hands-on experience with all of the required repairs he sees in the homes he inspects today, giving him the ability to discuss the in-depth details of home repairs, including realistic costs. Our inspections are extremely detail oriented. Final reports are written in a narrative format, are approximately 15 to 30 pages in length, and include color photos. The duration of our inspections generally last 3 to 4 hours. We encourage you to attend and participate in the inspection, as we can customize the report accordingly. We take our inspections and knowledge seriously, and attend over 20 hours of re-currency training annually to keep up to date on trends in the industry. Louis' experience enables him to evaluate the conditions found in an inspection in a competent and accurate manor. You can count on our experience to help you with one of the biggest investments you'll make. Only an ASHI Certified Inspector can provide you with a professional, personalized inspection that combines more than 30 years of the highest technical standards, adherence to a strict code of ethics, and the very best in customer service and education. This is called "The ASHI Experience." 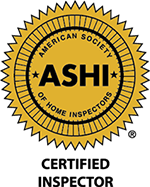 When you choose an ASHI Inspector, you'll be working with a professional who has passed the most rigorous technical examinations in effect today. Licensed to conduct home inspections in New York and Connecticut. We carry errors and omissions insurance.